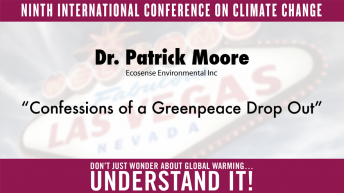 Patrick Moore, Ph.D. has been a leader of the international environmental movement for more than 40 years, revealing the myths and misinformation that distort current environmental debates. He calls for issues to be discussed on the basis of accurate scientific data, a search for consensus, and the creation of sustainable solutions. 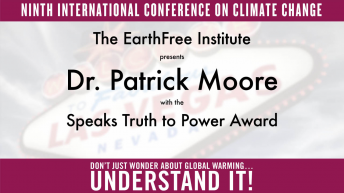 The EarthFree Institute presented Moore the "Speaks Truth to Power" award at the Heartland Institute's Ninth International Conference on Climate Change in 2014. 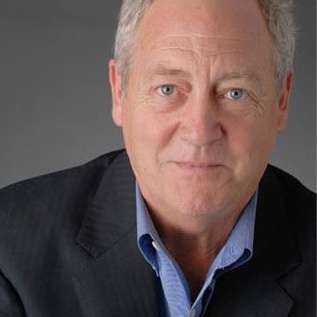 Moore was a founding member and former president and international director of Greenpeace. Confessions of a Greenpeace Dropout: The Making of a Sensible Environmentalist is Moore’s firsthand account of his many years as the ultimate Greenpeace insider. In recent years, Moore has been focused on the promotion of sustainability and consensus-building among competing concerns. He is currently working as an independent scientist and consultant, advising government and industry on a wide range of environmental and sustainability issues. Moore acts as a campaign spokesman for Allow Golden Rice Now, an initiative aiming to convince Greenpeace and its allies to stop opposing Golden Rice as a cure for vitamin A deficiency.